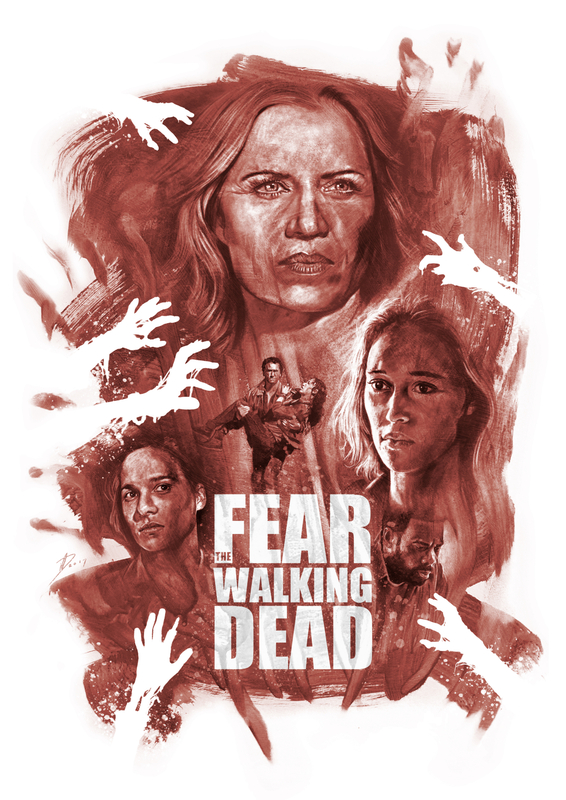 My entry for the Fear The Walking Dead brief. Trying something different, painted the background texture with watery acrylic on board, then photographed it and did the illustration on top in Photoshop. Love the decaying hands brother! Such a cool layout!